Norwalk, CT – In December 1953, Road & Track wrote “Frank Kurtis of Glendale, California deserves full credit for being the first man in America to attempt to produce an American production sports car.” In 1956, Motor Life added “the Kurtis 500S practically owned West Coast sports car racing for a couple of years.” A 500S broke the Del Monte Forest track record by five seconds in 1954, and another was on the pole at 1955’s 12 Hours of Sebring. 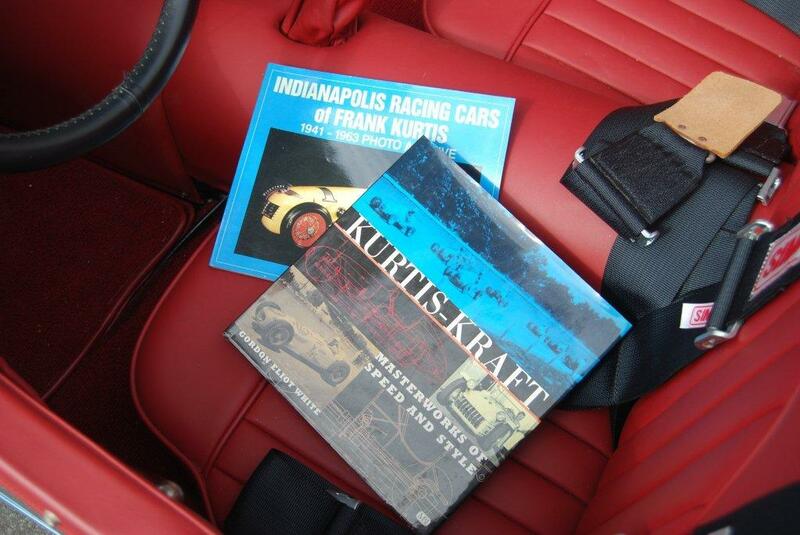 As the accolades mounted, Frank Kurtis earned his place in sports car history. Like all of the cars built by Kurtis, the 500S is a healthy slice of the American automotive pie. From its beginnings in 1935, Kurtis Kraft built midget cars, quartermidgets, sprint cars, Bonneville speed record cars and USAC Championship cars. According to historian Alan Girdler, from 1950 until 1964, every winner of the Indy 500 was either built by Kurtis or directly influenced by his designs. 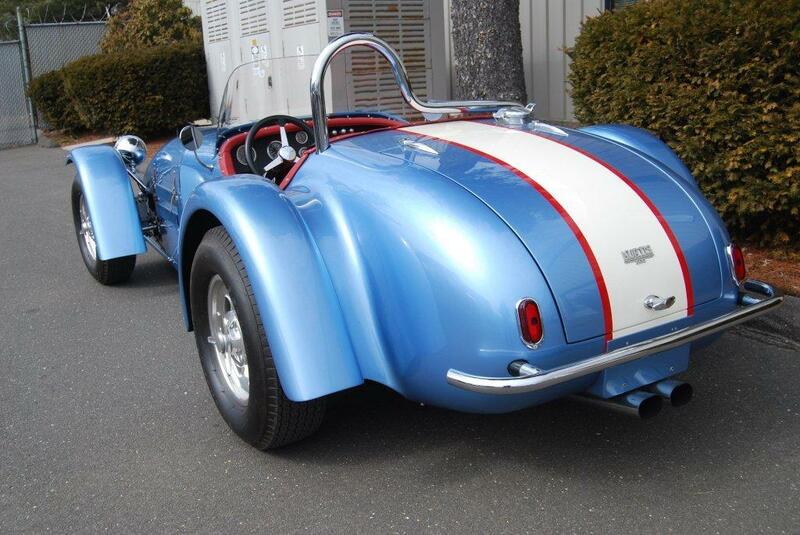 The heritage shows in this example, as presented by Automotive Restorations Inc. of Stratford, CT; the 500S profile is pure Indy roadster. 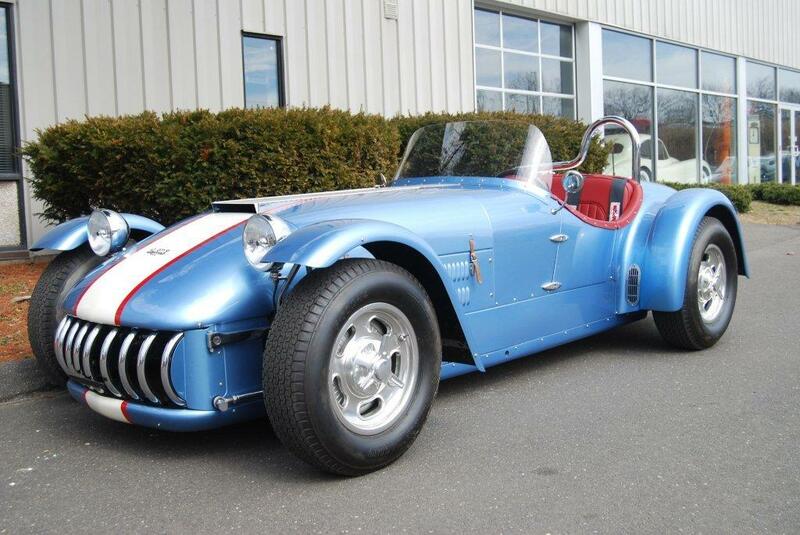 Its chassis is a classic Indy car design right down to the torsion bar suspension and quick change rear end. The build quality and details of each of the 500S models are also worthy of an Indy car, showing it was planned by a man who had done this sort of thing many times before. Fewer than 30 of the 500S models were ever produced. Many like this version were sold as kits with complete chassis, wheels and suspension parts. In this instance, Cadillac motor mounts accompanied the kit when ordered by original owner Darrel W. Johnson of Ferndale, MI. Although started by Johnson, the car remained unfinished for many years until purchased by Warren Wetterlund of California, who commissioned its completion by John Wyals and noted hot rod builder Roy Brizio. As was the custom of the time, a lighter small block Chevrolet engine was substituted for the original and more powerful Caddy. Everything on the body and suspension panel layout was left as Kurtis intended for its original customer in 1956. Also to be featured by Automotive Restorations at the Father’s Day Car Show in Norwalk will be a race-prepared 1964 Morgan 4/4. Equipped with a 1700 Ford crossflow engine featuring twin Weber carbs and dry sump oil system, the car produces 173 horsepower. It’s fast and easy to drive with an excellent power to weight ratio and is a consistent finisher in vintage racing with only minor maintenance required during the season. 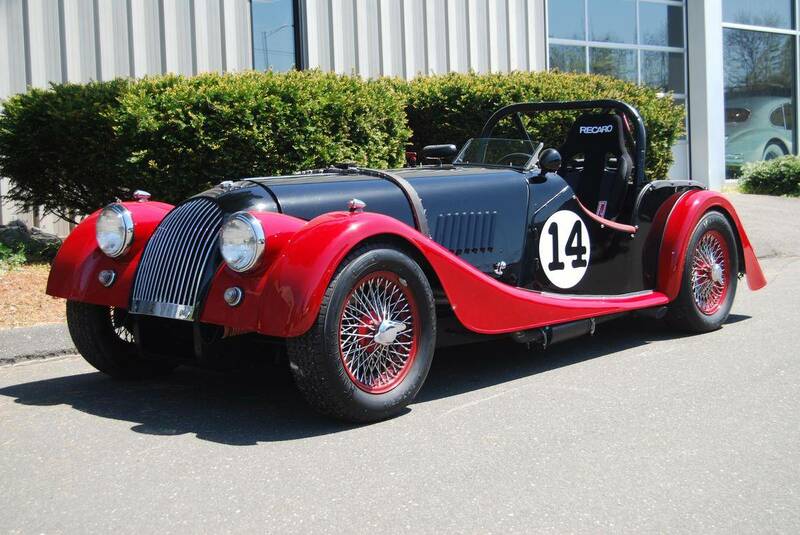 A great looking vintage Morgan, this car will go head-to-head with Porsche 956’s and Jag XK’s all day long. The Father’s Day Car Show, sponsored by the New England Auto Museum, will be held at Norwalk’s Mathews Park, adjacent to the historic Lockwood-Mathews Mansion Museum on June 21st from 10 AM to 3 PM. Admission to the show is free, with a donation to the New England Auto Museum building fund gently suggested and appreciated. Tours of the mansion will be conducted from 12 noon to 4 PM and the next door Stepping Stones Children’s Museum will also be open for visitors of all ages. The show will feature over 100 antique, classic and a broad variety of collector cars along with food, ice cream and a chance to select your favorite car. Story and photos courtesy Automotive Restorations Inc.